An 'anti-passport' for a world without borders. One poem, 2 illustrators, 10+ translators, 50+ performers, 8 stage adaptations, and grassroots associations in 14 countries, supporting refugee rights and universal freedom of movement. In solidarity with fellow citizens and villagers of the world who, with or without a passport, do not enjoy the fundamental right to leave their country or to return home (Article 13 of the Universal Declaration of Human Rights), nor the fundamental right to request asylum from persecution (Article 14), the Passport performance also represents a call for action and participation. At each presentation of the Passport, members of the audience are invited to bring along their 'real' passports, or any other form of ID, in order to symbolically ‘renounce’ their nationalities during the recital. All documents are hung from a washing line or "voyagers' tightrope" on stage... and returned by hand at the end of the performance. Hanging the audience's sacrificed passports and ID cards on the "voyagers' tightrope". La Coruña Book Fair, Spain, August 2010. With Yolanda Castaño and Ecodesarrollo Gaia Coruña Senegal ONG. Photograph by Cristina López Rodríguez. 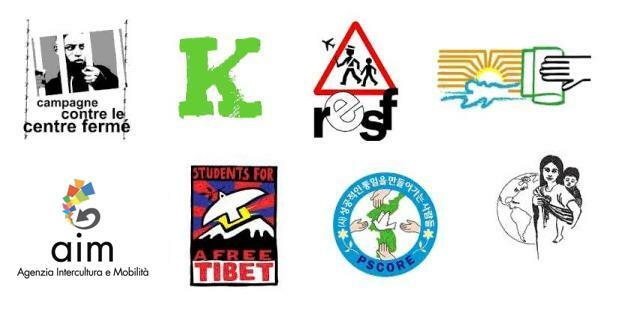 Some of the grassroots associations and collectives with which Passaport Project has collaborated, and which have received donations from the sale of the Passport booklet, to support their work with refugees and asylum seekers. Passaport collaborates with local grassroots associations and collectives that provide assistance to refugees in the community, through the organisation of readings and debates, and donations from the sale of the booklet.